With all the hot weather last week it's easy to forget that over a week ago we officially entered the fall season. But all I have to do is look out my window at the Liquid Amber tree in my neighbor's yard to be reminded that the season is turning along with the bright fall colors of the leaves. 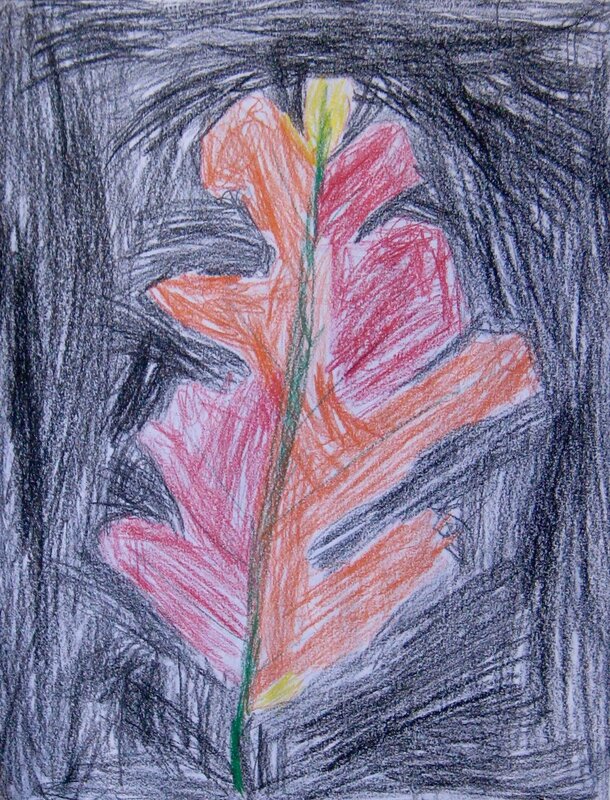 In preparation for the annual show of fall color, second grade students have been exploring leaves in art. Students have examined the leaf structure, in particular the branching structure of the veins, have observed and drawn realistic silk leaves, have practiced drawing leaves using the vein structure as a starting point and next week will be completing a painting inspired by the branching vein structure. Below are examples of the variety of ways students approached completing this assignment. 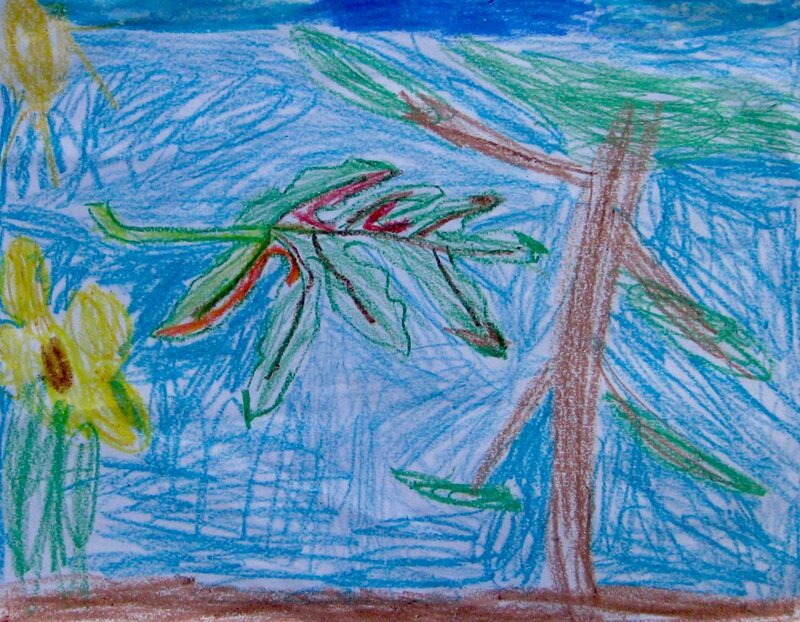 Because I structured the observation of the leaf as a starter, students could make any changes to the leaf at any point in the drawing--my only requirements were that students fill the entire page and show a background of their choice. I also encouraged them to think about if they could show any other details in the background that could tell the story of where the leaf is. Second grade families, this is a great time to ask your second grade student about leaves. Find a few leaves and ask your child how those 'real' leaves are the same and how they are different from the silk leaves in art class. Examine the leaves together and find the veins--look at how the veins make a branching structure. Also look at the edges, how some are smooth, some are bumpy, some have lobes and some have points. 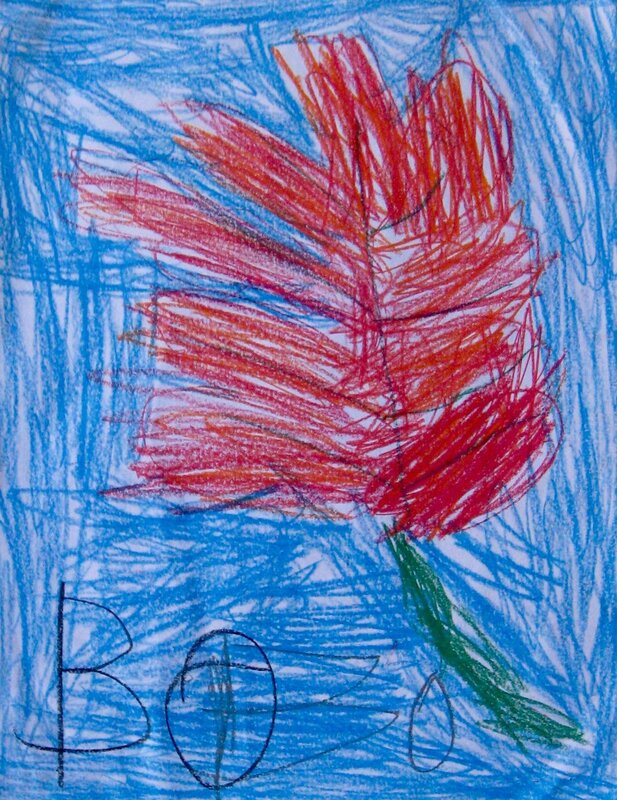 Finally, invite your child to draw leaves at home, from imagination and from observation. 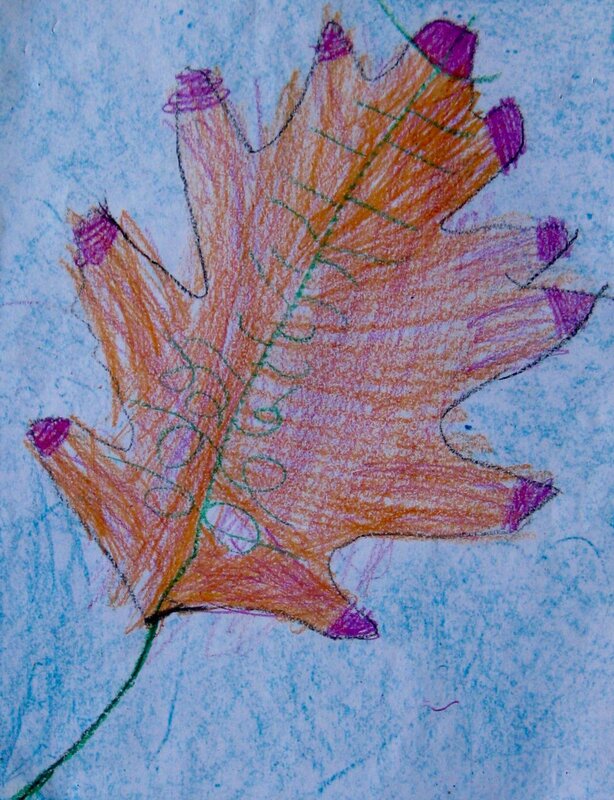 The leaf drawings below are examples of students who focused on carefully observing the leaf and recording the colors and shapes they saw. 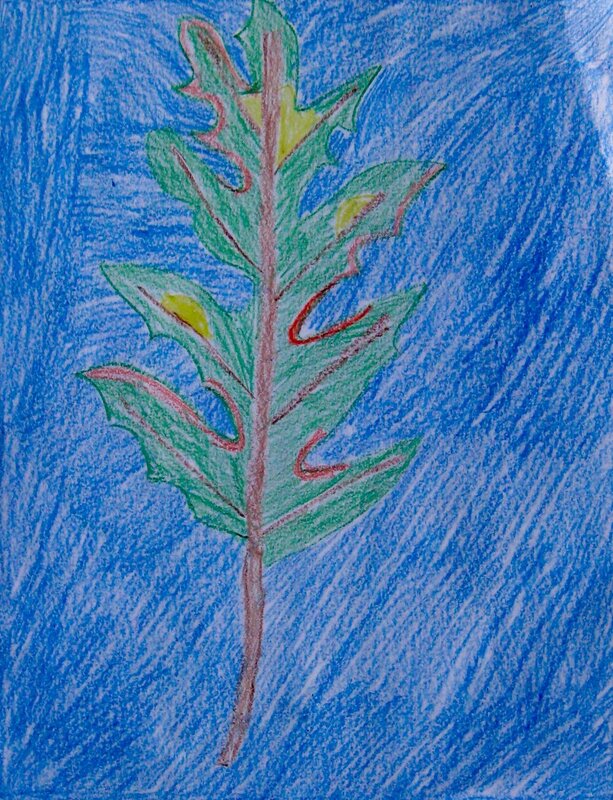 This set of leaves show students who used a one color background and applied the color vigorously and with pressure to the crayon--the bold color really makes the leaves 'pop'! 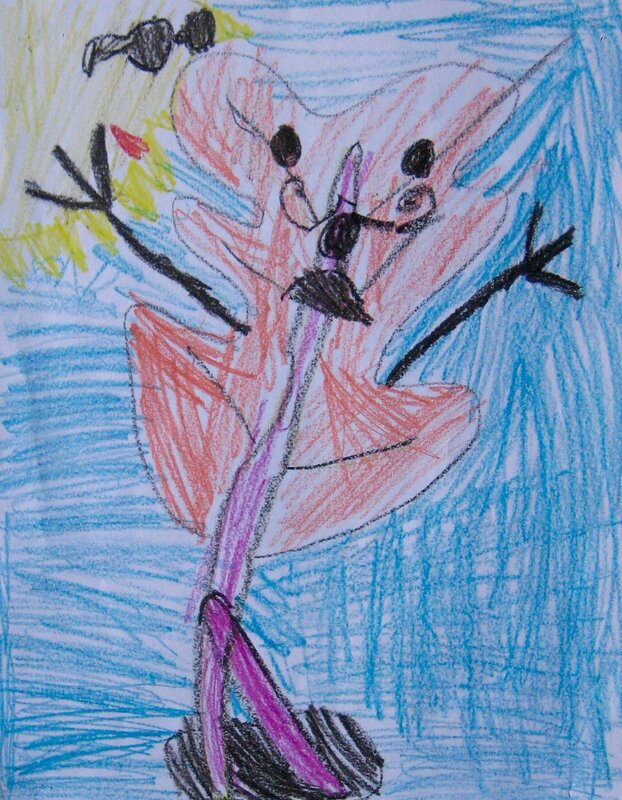 These five drawings show students who imagined and drew the tree the leaf might have come from. 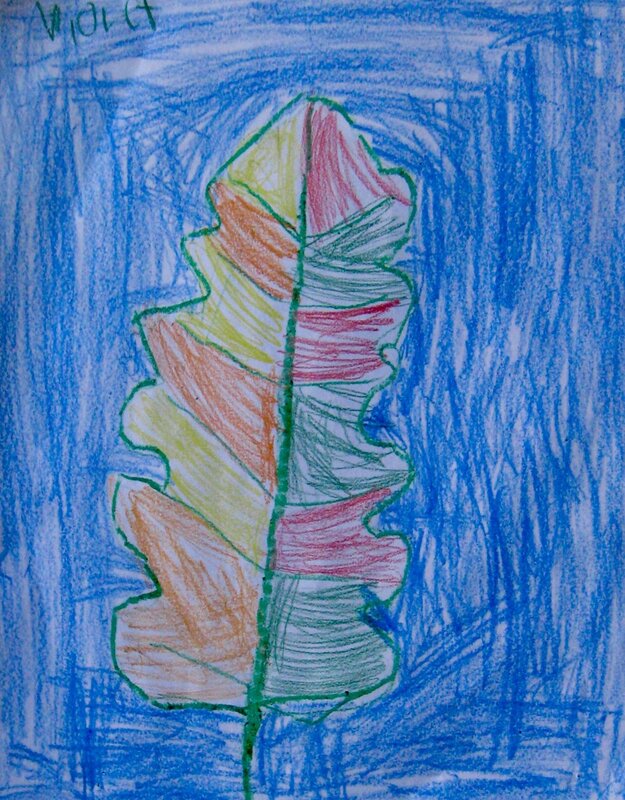 These leaf drawings show other ideas students had for backgrounds. 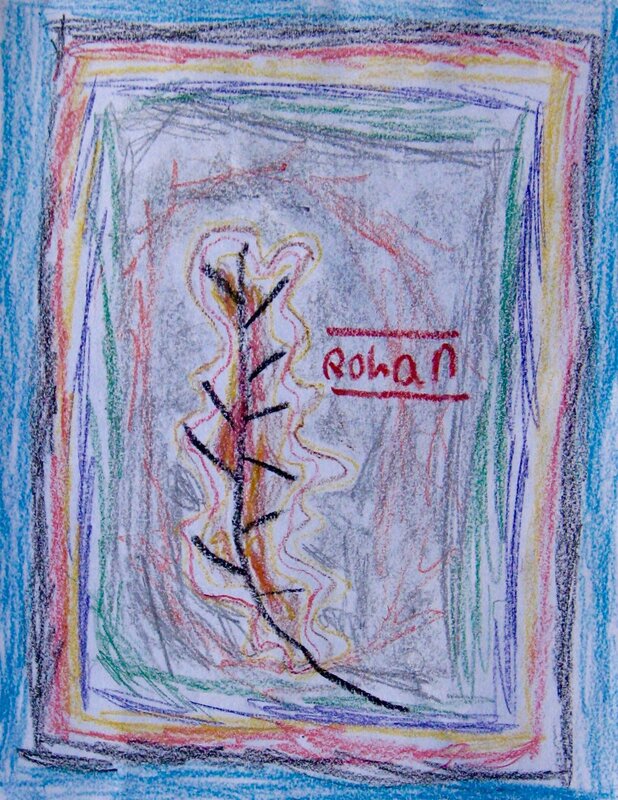 It's interesting to see how some students used abstract designs, others thought about the environment a leaf might be in, one student imagined a leaf tower and another envisioned the first page of a book of leaves. The leaves below are examples of student who worked on making changes to the leaf. 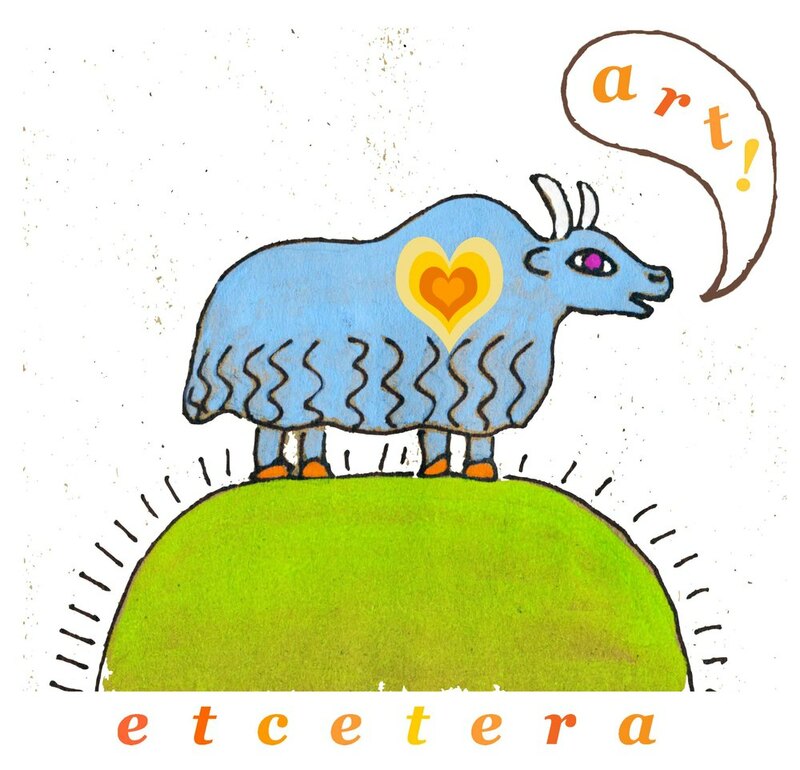 Is My Drawing Is Done? The name of this blog is etcetera-art because there is always more to talk, see & think about when it comes to art! 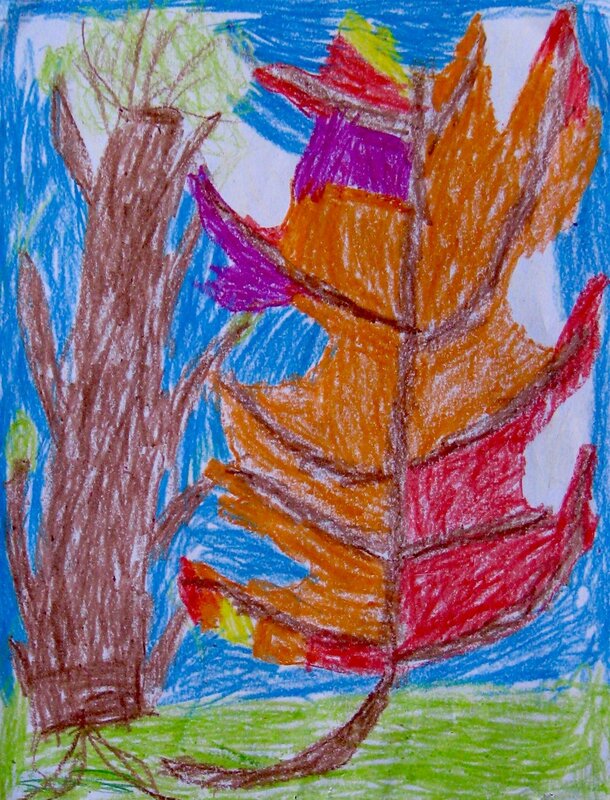 Grade Two, Fall Leaves Continued . . .
A few more examples of student work from 2015-16! Snails Sighted Down in Room F01!